Wernick’s assertion that Trudeau could not be briefed while on vacation drew ridicule from Conservative Leader Andrew Scheer, who repeated his call for the Liberal-dominated Justice committee to re-open the investigation into the affair. Scheer cited Wernick’s own committee testimony that the prime minister was available 24 hours a day and often “woken up in the middle of the night” to be briefed on important issues. “The idea that he was on vacation and couldn’t be briefed about an issue that he took such great interest in, that he sent his principal adviser multiple times to lobby Ms. Wilson-Raybould to interfere in this situation, an issue that he himself had a meeting with her on, and then never asked about it, certainly I’m not buying that,” Scheer said. Meanwhile on Sunday, Gerald Butts, Trudeau’s former principal secretary who resigned in February amid the SNC-Lavalin controversy, said via Twitter he has also submitted more evidence to the Justice committee following the release of Wilson-Raybould’s additional material. “Having reviewed Ms. Wilson-Raybould’s further testimony, I have tabled with the Justice Committee notes and texts between us related to the events Ms. Wilson-Raybould describes,” Butts tweeted, without indicating what was contained in the messages. Anthony Housefather, the Liberal chair of the committee, confirmed the material from Butts had been received, but said it would not be released publicly until the messages are translated for committee members. In contrast to Wilson-Raybould’s testimony released on Friday where she alleged Trudeau was set on stopping the criminal prosecution, Wernick’s lawyer said the PM was not aware of her concerns, and the SNC case was not a priority for the PMO. Addario said Wernick didn’t brief Trudeau on Wilson-Raybould’s concerns because, following their phone conversation, “everyone went on holidays the next day.” At one point during the call, Wernick is heard telling Wilson-Raybould that he would “have to report back” before Trudeau left. Wernick’s statement appears to shed some light on how Trudeau could have been left in the dark about Wilson-Raybould’s concerns. 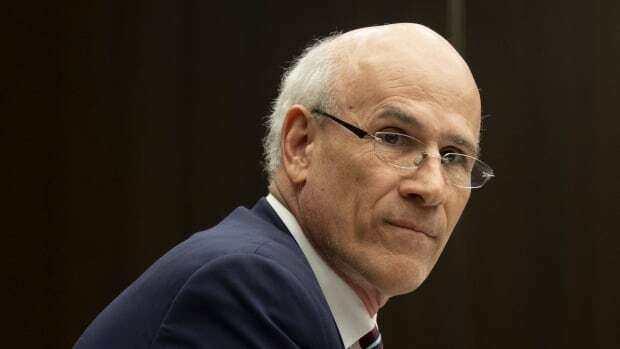 Wernick has announced he is retiring from his post as Canada’s top civil servant. The PMO announced last week that Ian Shugart will take over as clerk of the Privy Council on April 19.